The natural transmission of approximately one-third of the heat that leaves the earth’s surface as infrared (IR) energy will exit the atmosphere and go into deep space. The Nighttime Solar Cell(R) (NSC) is designed to exploit this transmission of IR energy by using a thermoelectric generator (TEG) that operates in the temperature difference between the earth’s surface air temperature (nominally at 285 K)as the thermal source and deep space as the thermal sink (effective temperature of 3.5 K). 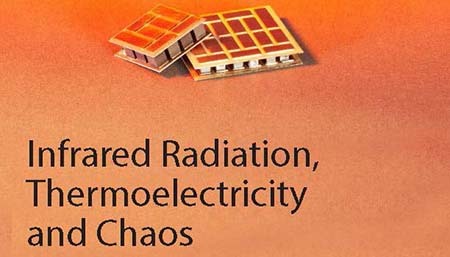 The cold junction plate of the TEG is isolated from the surroundings by a vacuum and thus is in thermal communication primarily with deep space via IR thermal energy. Previous generations of the NSC prototypes have successfully demonstrated the utility and efficacy of the device using various designs of off-the-shelf and custom built TEG modules of macro-scale size. Thus far the prototype NSCs have operated only with atmospheric air in the cell. The next generation NSC is being designed to utilize micro-TEG modules which have hundreds of junctions built into a module with a very small (e.g., 3 mm x 3 mm) footprint. These micro modules can then be ganged into series and parallel electrical and thermal connections in a single NSC prototype to produce electrical power outputs of various voltage and current mixes. With new TEG junction materials and NSC designs, the NSC may be able to compete in the future with solar photovoltaic cell output over a 24 hour period. These design considerations will be addressed at the JMU Workshop.